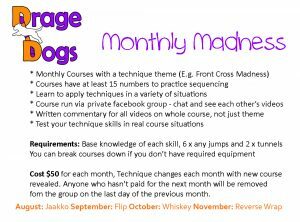 Drage dogs is excited to offer a multitude of online learning opportunities run via private Facebook groups. We currently offer both set courses and personalised online lessons which you complete in your own time. 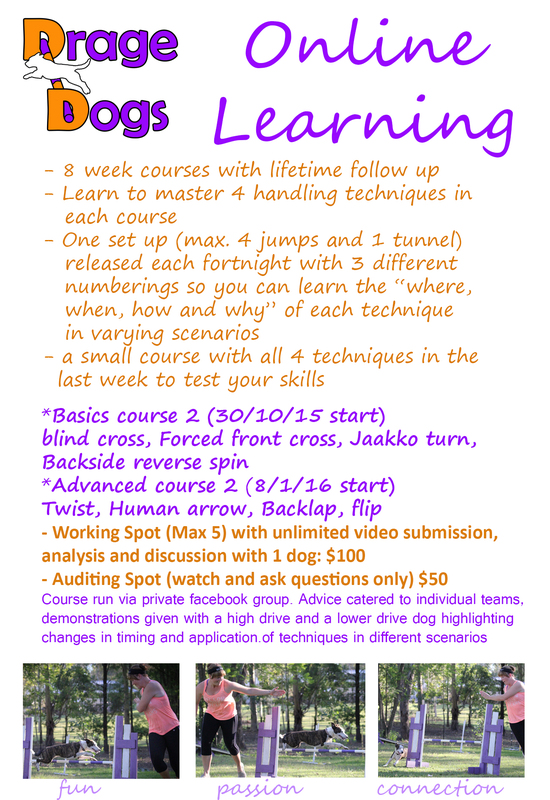 Drage Dogs is now offering personalised online lessons. Each lesson will focus on one particular area (e.g. a handling technique, contacts, weaves, independence etc). After filling out the form below and paying for your lesson we will contact you with a lesson plan which includes demonstration videos, course maps and other necessary information. 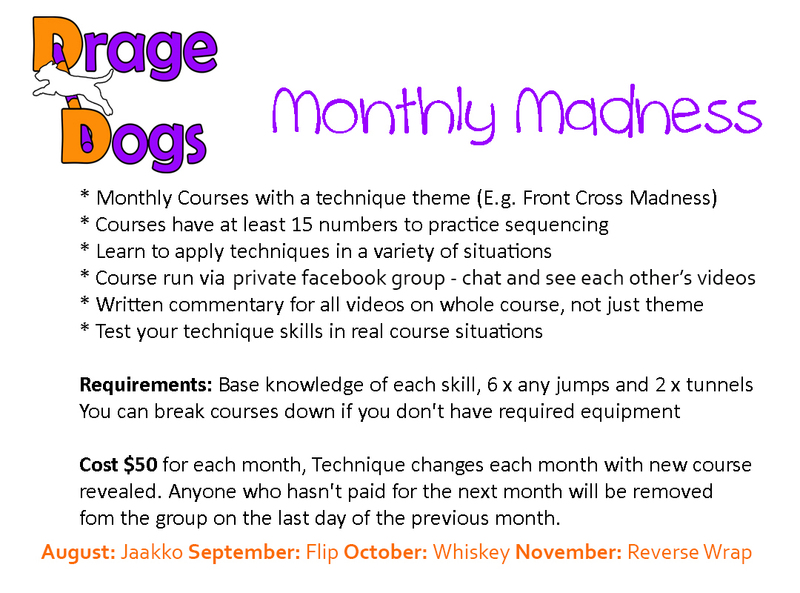 You can complete the lesson plan in your own time and submit videos of you and your dog via a shared Dropbox folder which will be created by Drage Dogs for your personal use. 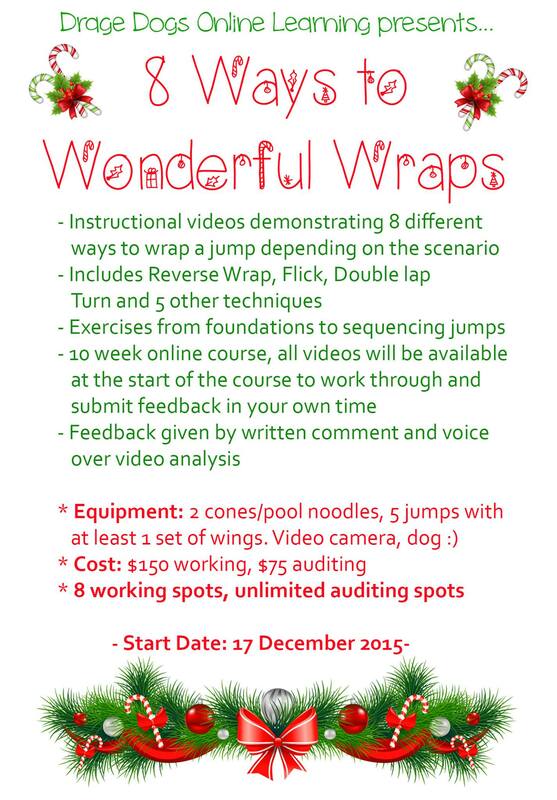 We will then analyse the videos and give feedback in both a written and voice over analysis form. Once you have completed the lesson plan and feedback has been given to your satisfaction, the lesson will be finalised. 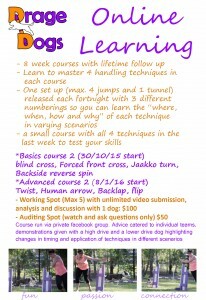 Please note these lessons will only cover teaching and perfecting one chosen handling technique (e.g. serpentine, jaakko, flick etc.) 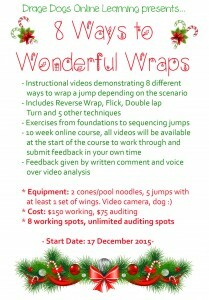 at a time OR troubleshooting in a specific area (obstacle commitment, contacts, weaves, forward focus etc.). They are not intended to teach an obstacle such as weavers or contacts from scratch.